Enviably located on the banks of the Selinda Spillway in northern Botswana, RAW Botswana is a camp that offers unique and exclusive safari experiences. 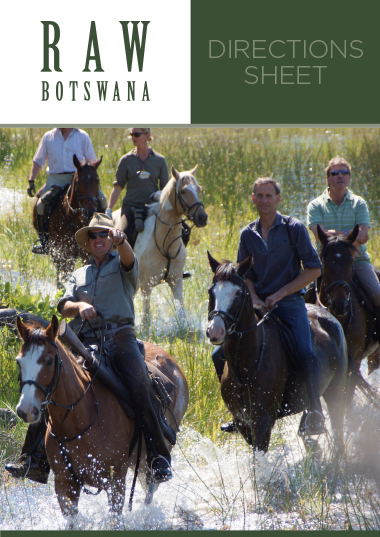 RAW Botswana - a camp enviably located on the banks of the Selinda Spillway in northern Botswana - offers horseback safaris, walking trails, boating, mekoro, canoeing, fishing and game drive experiences in one of the country’s most exquisite wildlife areas. It is a small, environmentally sustainable camp with 5 tented suites overlooking the spillway. The camp is largely solar-powered, and promotes low impact living in this unique and fragile ecosystem supporting an untamed extravagance of animal and birdlife. 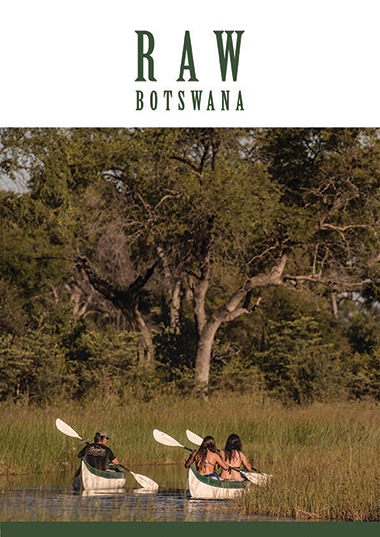 The team at RAW Botswana shares many decades of experience running adventurous and eco-friendly safaris with superior attention to detail, friendly service, wholesome and delicious cooking, and expert guiding and wildlife knowledge. 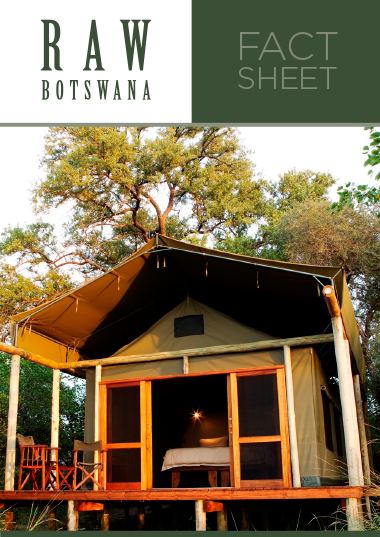 The camp operates exclusively on 120 000 acres of a magnificent, world-renowned tract of land on the Selinda Spillway. 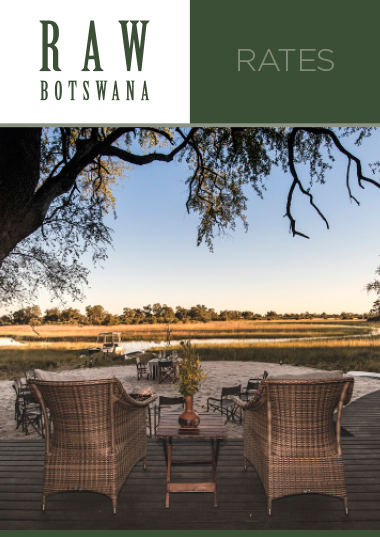 Guests can fly in to Motswiri’s adjacent airstrip from Maun and Kasane, which of course, is an experience in itself. The view from the air during the 40-minute light air transfer is of the scenic jewel-toned Delta waterways. There is a luggage restriction on this flight of 20kgs (44lbs) per person, and a requirement for soft-sided luggage. Guests can fly daily to Maun from any of the following airports: Johannesburg, Cape Town and Gaborone. Motswiri can take care of all internal flight bookings.